Some people shop. Others head to the gym to tone up those muscles or lose those pesky pounds. Some gather friends for a good chinwag. But when the clock strikes 12:00 p.m. I head to the library. I grab whatever novel I’m reading, a pen and my notebook and leave the world behind in search of solitude. The library has become my sanctuary. A place I can escape the demands work places upon me. It’s here I spend my lunch hour, every day. I work about 10 minutes away from the largest library in my city. The Millennium Library boasts four floors of books, resources, computers, meeting rooms, study areas and comfy chairs. The entire south side of the building is constructed of glass and allows the beautiful sun to shine in. (We get a lot of sun in Winnipeg.) It’s a book lover’s paradise. A writer’s dream too! I always head to the third floor where the Local History Room is kept. The books inside this space hold all the details of our city’s past. They are often fragile old books that require white gloves to be touched. The third floor is also home to newspapers – local, international and archived – magazines, and the microfiche machines that I can’t believe are still in use. It’s a spacious and quiet floor, perfect for me. I nestle into my favourite grey chair and make myself at home. Usually I read. Sometimes I write. I always enjoy the atmosphere and the sun shining upon my face. Hundreds of people enjoying the written word in all its forms. It’s magical! I’m not sure when my fascination with libraries took root. As a child I remember going on occasion to check out a resource for a school project. It was still exciting to see all those books in one place, but only as an adult do appreciate it. When I travel – which isn’t all that often – I like to check out the libraries. 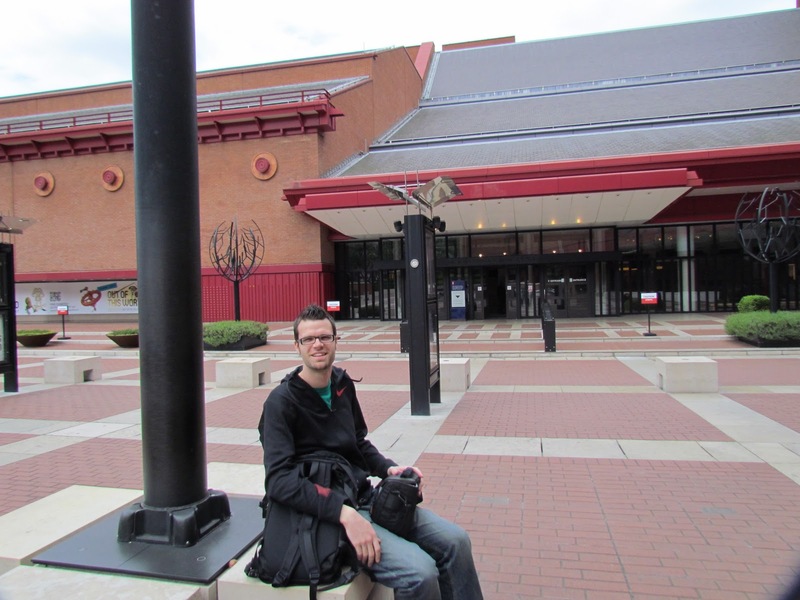 So far I have visited Vancouver’s Central Library and the British Library in London, England. 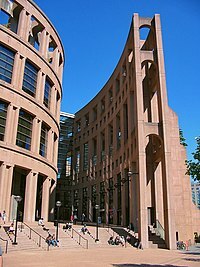 The Central Library in Vancouver is amazing. Not only is this building beautiful, it has seven levels! SEVEN! There are a variety of neat shops to explore before going into the main library. I’ve been to Vancouver a few times and each visit I make sure to stop by and walk the countless rows of books. It’s just wonderful for me to see all of Vancouver’s citizens making use of such a fabulous space! GEEK ALERT! The following will really reveal what a nerd I am. When my husband, Brandon and I booked our trip to London this past May, one of the very first places I listed as a Must-See was the British Library. I planned one whole day around stopping into see the rows of books. Images of old leather-bound, first additions, swimming in my head. Oh man, was I excited! I dragged Brandon through the streets of London to see this treasure. Okay I didn’t really have to drag him, he was pretty stoked as well. We’re both geeks. Well, it didn’t quite go as planned. In the entrance was a visitor booth. We stepped up to get a map or something so we would make the most of our time there. Now, I’m not sure if we were duped or what, but the guy plainly told us there was nothing to see. All the books were held in storage facilities beneath the library. In order to see a book, you had to put a request in and since we were not members, well…nothing to see here. We turned around, our shoulders slumped in disappointment, and made our way to the only place where there was something to see – the gift shop. Brandon. Can you see his disappointment?! It was a very nice gift shop, but just not the same. We did take a couple of pictures of the outside. The red bricks mark out the storage units below the surface where the books are held. Okay, this is what the Dude told us, I have no idea if he was just yanking our chain. He did say that every so often you’ll come across a metal “brick” which is where the fire department would insert a hose if – Heaven forbid – the books caught fire inside. *GASP* I hope they never have to use them. I’ve often thought of taking a library job. A chance to spend my days in my sanctuary is pretty tempting. I think they frown upon their employees spending all their work hours reading and writing. Go figure! I’ll just keep my daily jaunts to the library as my escape. My sanctuary. A place where my creative self can exist for an hour out of my work day. There's just something about libraries, isn't there? I hope one day you make it to your big city library! Thanks for the comment, Diane! If you ever get a chance to come to Toronto, you must check out a couple of out libraries. Robarts, the Torono Reference Library and the Lillian H. Smith branch of the TPL, which includes the Judith Merrill collection of rare science fiction books! I used to write there every day I could. It's gorgeous inside and out. Thanks for the recommendation and the comment, Gideon! Thanks for the comments Adriana! That is just terrible about your library :(Yes, it was sad about the British Library but next year I'm planning on going back to The UK…more libraries to explore!! Holy cow. Your disappointment over the library is tantamount to me trying to chase down Paddington Station only to find it to be….another train station. No cute Paddington anything. Not at all.Wah. Your library looks gorgeous, so light and bright…and big! Ours is a small town library, and much like Adriana's… florescent lights, no windows, and tiny! 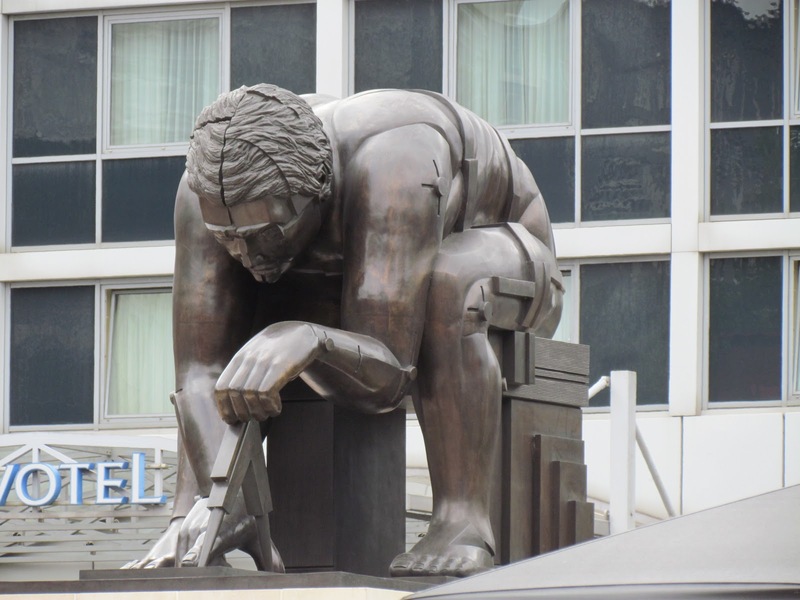 BTW a friend of mine visited the British Library and did the tour, just checked the site… http://www.bl.uk/whatson/tours/index.html See if they do that next time you're here! The library in Winnipeg looks amazing. I love libraries. I could get so much writing finished in a place like that. If you're passing Glasgow on your next UK trip, you should visit the Mitchell Library! It's stunning, full of geeky goodness, and 10 minutes from my work… you have inspired me to pack sandwiches one day and go there for my lunch! I AM planning on being in Glasgow next year! YAY Thanks for the recommendation Catherine I will be sure to check it out!